gets you out there faster.. Your loved one's freedom is just a call away! 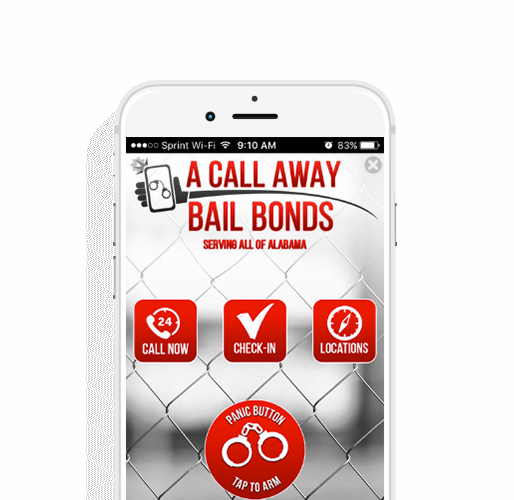 A Call Away Bail Bonding, serving Alabama by providing the service and professionalism unmatched in the industry. We understand that being incarcerated can be tough and making bond is important in order to maintain employment and continue everyday life. Our corporate offices are located in Roanoke, Alabama at 132 Main Street just inside the First Stop Enterprises building. Our agents are trained professionals that can typically help you or a loved one make bond and get back to your life within 2-6 hours of the initial call. ACA serving Alabama with concentration in Randolph, Chambers, Cleburne, Clay, Coosa, Tallapoosa, and Elmore Counties!